Purchasing teak can be costly, but if you are willing to invest in this sort after wood, you need to know what it is you’re paying for. Many retailers of teak garden furniture claim there are Grade A Teak, when in reality, this could just be a scam. The following will help you to clarify the three evaluations of teak, so that instead of speculating teak wood that may not be the desired quality, you can make an educated buy. Locally found in India and Southeast Asia, teak is a thick, tropical wood that is popular amongst homeowners due to it’s high levels of oil, which secure it from water damage and wood boring insects, as well as it’s sturdiness that maintains high quality furniture. As a prized material, teak is among the more expensive hardwoods used in a variety of different furnishings, and thus comes in different qualities. 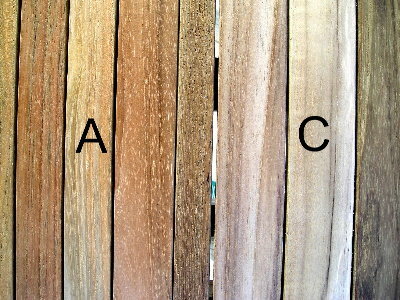 The three grades of teak wood are simple: A, B, C. Grade A Teak is represented by mature heartwood, Grade B by immature heartwood, and Grade C by sapwood. Read on to find out more about each individual evaluation and which apply best to you and your furniture. To produce Grade A Teak, or mature heartwood, the tree from which said wood is gathered must be aged twenty years or older. Rich in oil, this teak originates from the core of the tree, and has a color comparable to nectar or honey. Due to the wood’s thickness and density, grains in the teak should be close together. When a teak tree is collected of its wood, Grade A Teak is in the minority of the accessible wood, which contributes to it’s general lavishness. Should you be offered Grade A Teak for a strangely low price, you are more than likely being misdirected as, per the quality of the wood, it does not come cheap. Grade B Teak, or immature heartwood, is the cheaper version of Grade A Teak. Found nestled between mature heartwood and sapwood within the teak tree, it has noticeably less quality than the former. Containing fewer oils, it will not retain nearly as much shine as Grade A Teak, nor will it maintain itself quite as long as Grade A Teak would. Applying special defending seals on furniture made out of this material is recommended, as it will help maintain its lifespan. 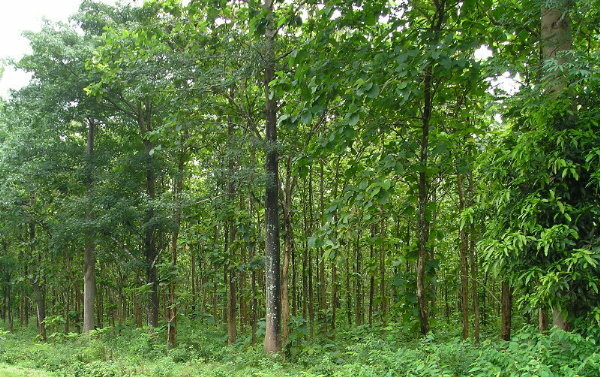 Grade C Teak, or sapwood, is what can be found on the outermost part of the tree, and is continuously developing. The life of the tree depends on this segment of it, as it brings supplements and water up into the tree’s body and limbs. Typically discolored and prone to easier breakage, Grade C Teak is by far the worst of the three types to use for furnishings. Distortion and corrosion can happen in a much smaller period of time than with other grades of teak, therefore it is not recommended to purchase this wood unless absolutely necessary. Do keep in mind that some vendors may try to pass off Grade C Teak as Grade A Teak, despite it being sub-par wood, and it is best to keep your eyes peeled when purchasing. Out of all three grades of teak, keep within your price range, but don’t settle for anything less than Grade B Teak. Grade A Teak will endure the longest, and therefore doesn’t require any extra treatment, however it can still be protected by seals to maintain its color. Grade B Teak should annually be secured from outward elements as it does not retain the same amount of oil as Grade A Teak. As mentioned previously, wasting your time with Grade C Teak will simply prompt frustration, as it lacks the quality, strength, and lifespan of other teak types. Sticking to Grade A and Grade B Teaks or furnishings with different wood would be your best bet, and never allow any manufacturer to trick you into a bad deal, especially after you’ve finished this teak guide.